Richard L. Collins changed the face and style of aviation reporting. He passed away in late April, leaving an industry significantly changed and improved as a result of his writing. What made Collins different was not only that he wrote about the technical aspects of aircraft, he also made extensive use of light aircraft for personal transportation himself, and added what he learned on every flight to his educational narrative. In essence, his readers were invited along on the flights Collins took and learned from that hands-on experience. Collins may not have been the first, but he certainly popularised this experienced-based approach to aviation writing. He was not afraid to point out his own mistakes either, to ‘bare my aeronautical soul’ as he put it, if he thought other pilots could learn from his experience. Arguably, however, it was when Collins began ‘the magazine business’ that he truly began to teach people to fly. Son of Leighton Collins, founder of Air Facts magazine, Collins began writing for Air Facts in 1958, then joined the staff of Flying magazine in 1968 and became editor in chief in 1977. He moved to AOPA Pilot magazine as publisher and editor in 1988. In 1993, he returned to Flying as an editor at large, where he wrote a monthly column and many feature articles. In October 2008, Collins retired as a regular contributor to Flying magazine. At the time of his retirement, Collins had been on the masthead of an aviation magazine since July 1958. Collins became a writer for the revived Air Facts Journal, now an online journal, from its creation in 2011 until his death earlier this year. Collins continued to write insightful observations and inspired tips for flying safely and efficiently in his Air Facts blog to within weeks of his death. Letting his instructor certificate lapse: ‘I last renewed my CFI in 2016 and will let it lapse today (2/28/2018),’ Collins wrote in his Air Facts blog. (U.S. flight instructor certificates must be renewed every two years). Collins’ concern was primarily over the lack of additional training requirements and guidance for pilots of technologically advanced aeroplanes, specifically concerning knowledge and operation of autopilots and automation failure modes. He saw information in the FAA-approved Flight Instructor Refresher curriculum that in his opinion downplays and short-cuts what’s needed to master cockpit automation. ‘It takes a lot more good instruction than folks are currently getting,’ he warned. 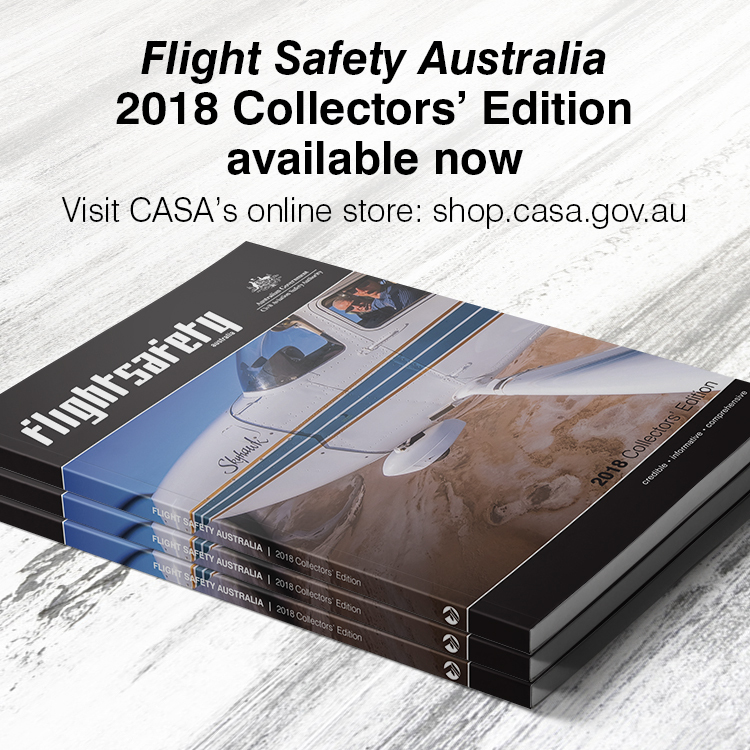 Scrapping his Cessna P210: Collins stunned the aviation establishment and his multitude of readers when in 2007 he chose to scrap the 1979 Cessna P210 he had purchased new (licensed as N90RC) and in which he had logged nearly 9000 hours. He was already scaling back significantly on his flying and likely sensed he was going to stop completely fairly soon. As he explained in Flying magazine, his decision to destroy the aeroplane rather than sell it were personal. The highly complex, pressurised single ‘had become difficult to keep serviceable, mostly due to lack of parts’. He had ‘not had a good experience’ with reconditioned parts and new parts from Cessna were often no longer available. Several costly issues, including rework of the aeroplane’s deicing boots system, were on the horizon. Although certificated under the FAA’s old CAR 3 rules and therefore with no required airframe life limit, Collins cited Cessna engineers as stating the P210’s airframe was ‘tested to the equivalent of 10,000 flight hours’, a value Collins’ aeroplane was fast approaching. Collins was very concerned about legal liability should he sell the aeroplane. He called it a ‘complicated and temperamental design’ and noted the type had ‘the worst fatal accident rate of any certified piston single’. He was afraid that an inexperienced pilot would buy N90RC, which was well known to have been in his care since new and literally had his initials on it, and have a crash. At times Collins stated that he chose to have the aeroplane destroyed because it ‘was not worth much’ and he ‘could not get any offers on it’. At other times, however, he openly expressed concern about being held legally responsible should a new owner have a mechanical issue that led to an accident. Ultimately, he chose to have his beloved P210 destroyed rather than sell it to a new owner. Bucking general aviation convention, Collins grounded himself while he was still going strong as a pilot. He stopped flying as pilot-in-command in 2011. He was still able to pass medical qualification, as he wrote in The Next Hour, and could easily ‘go out and fly six approaches, do some navigating and fly holding patterns’, meeting U.S. requirements to fly under instrument flight rules. He chose not to, however, writing: ‘I didn’t fly enough over the last year of flying to feel really comfortable with IFR flying. The last IFR in IMC trip that I flew went well and that is the way I wanted to leave it.’ He wanted to ‘go out on top’, as he put it. Always a risk manager, Richard Collins summed up his personal risk and decided it was time to leave the flying to others. It’s said that learning comes in two forms: experience and training. Experience is learning from what happens to us. Training is learning from the experiences of others. We’ve all benefited greatly from the training Richard Collins prolifically imparted for six decades. 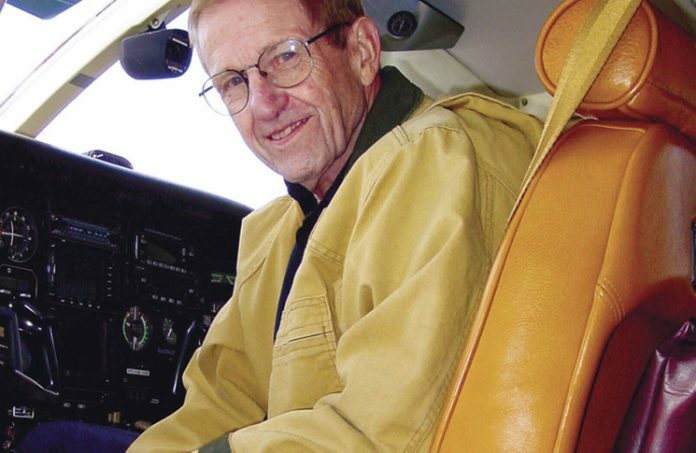 We will miss his tutelage, but will all continue to learn from other pilot-authors who have picked up the mantle of experience-based aviation journalism and instruction that Collins pioneered. I better get cracking ..I am in my late 60’s and just started rec flying recently.